From a seasonality perspective, the U.S. stock market is weakest in September. 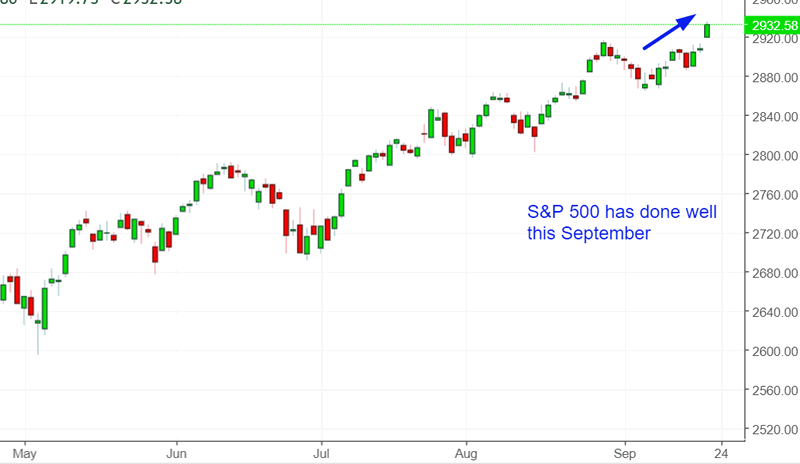 However, the U.S. stock market has been exceptionally strong this September despite starting with some short term weakness. In other words, it has completely ignored “sell in May and go away” from May – September this year. When the market ignores bearish seasonality, forward returns are very bullish. This is simple and logical. If the market goes up when it “should go down”, imagine how much higher the market will go up when it “should go up”. 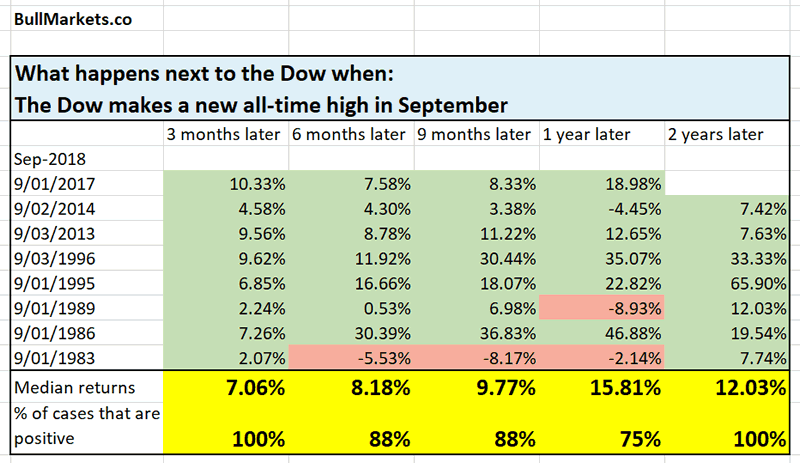 This is what happens next to the Dow when it makes a new all-time high in September. Data is more limited: 1970 – present. 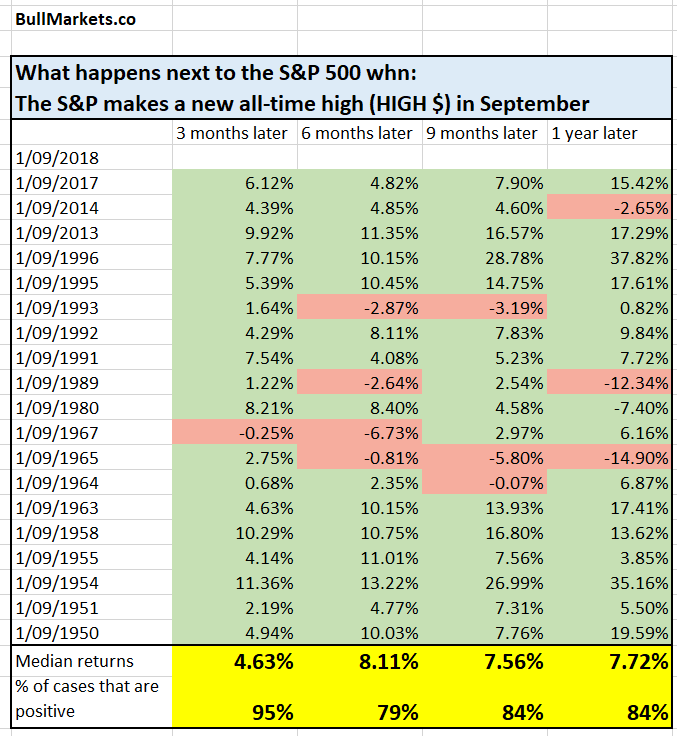 This study suggests that the stock market will do well in the next 3 months. Might even go BOOM. If it does, that will be a terrific Christmas present.